Perfect location in the established community of AVALON PARK with tree-lined streets, lakes, desirable schools, and a plethora of amenities. This impressive townhome showcases a BRAND-NEW A/C, FRESH INTERIOR PAINT, NEW CARPET and 2-CAR GARAGE. 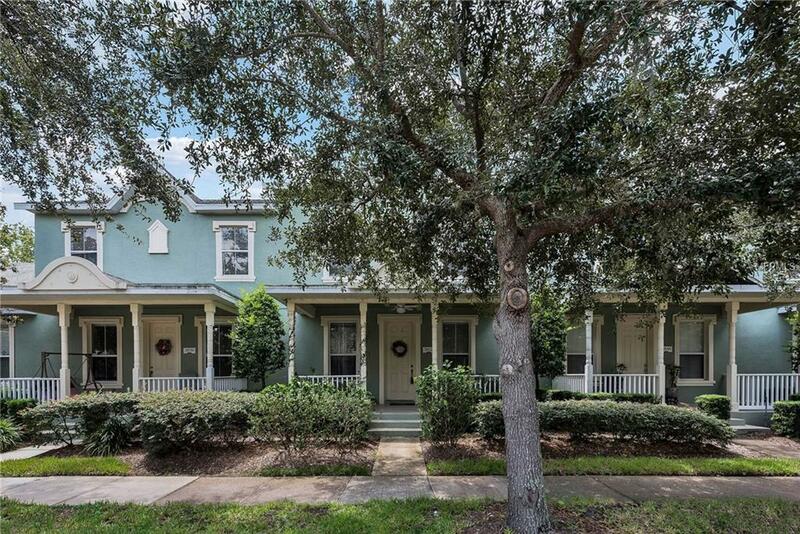 A charming front porch welcomes you into this lovely townhome! Functional floor plan features large windows allowing natural light to shine in plus beautiful architectural details & archways. The family chef will love the kitchen with quality appliances, casual breakfast nook, plus plenty of cabinets & counter space. Relax in the master suite with TRAY CEILINGS and a spacious master bath. Gather with guests & enjoy family cookouts in the open lanai and backyard. The Avalon Park community is highly desirable with top "A" rated schools. Amenities include community pools, tennis/basketball courts, splash pad, playground, jogging/biking trails, dog park and sports fields. Minutes to the 528 Beachline, 417, 408 (East/West), University of Central Florida, Research Park, Medical City, Lake Nona & The Waterford Lakes Town Center plus only 40 minutes to Cocoa Beach. Avalon Park offers seasonal events, mom-and-pop restaurants/eateries, trendy boutique shopping, movie nights in the park & more! Dont hesitate - the perfect size home for easy maintenance is waiting! Additional Lease Restrictions No Short Term Rentals. Buyer To Verify Leasing Restrictions With Hoa And/Or City/County.